I finally managed to get my GTI on a road trip after 12,000 miles of mostly commuter miles. 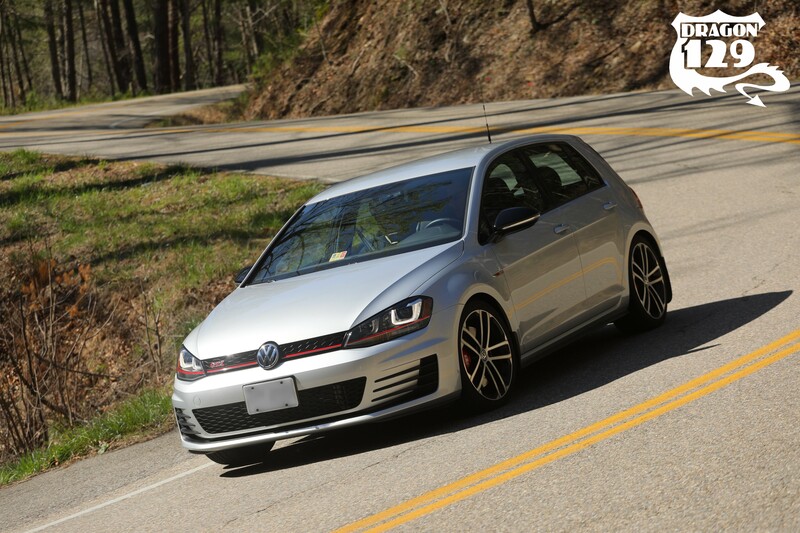 The Tail of the Dragon is often said to be the trip every driving enthusiast must make. I’ve driven the Dragon three other times in other cars, twice with my daughter. This was my first time driving it in a car that’s made for the curves right out of the box. I had planned to make the journey on the first weekend of spring. Adverse weather in March deferred the drive until the first weekend in April. My daughter and I left Newport News, Virginia for Maryville, Tennessee on March 31st, just as her school was closing for its spring break. It was raining in both locations, but expected to clear for a great weekend! Fellow VW enthusiasts may be wondering why I didn’t delay my trip by one week and attend the Wookies in the Woods (WITW) gathering. I prefer to visit the Dragon during the off-peak time before or after large club events invade. It makes the drive more pleasant; it’s also much easier to find the professionally taken photos of my car (less traffic). There was a Fiat club and a Genesis club on the Dragon, but their numbers were small. Finding my photos from that weekend was surely easier than wading through hundreds of photos of other Golfs. HAHA! My drive to the Dragon was 530 miles and included plenty of rain. I was expecting the rain, so I didn’t bother to wash the car before traveling. 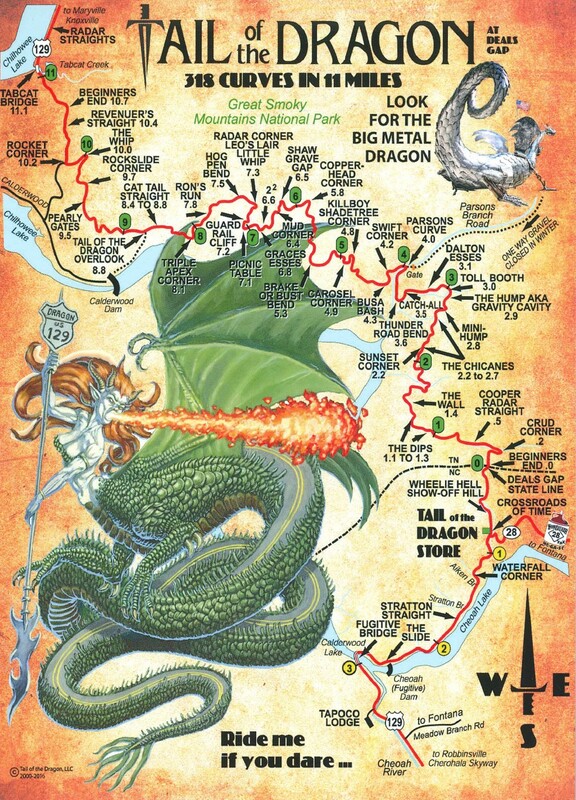 I had used GoogleMaps to find a coin-op car wash in Maryville before making my Dragon runs on Saturday morning. 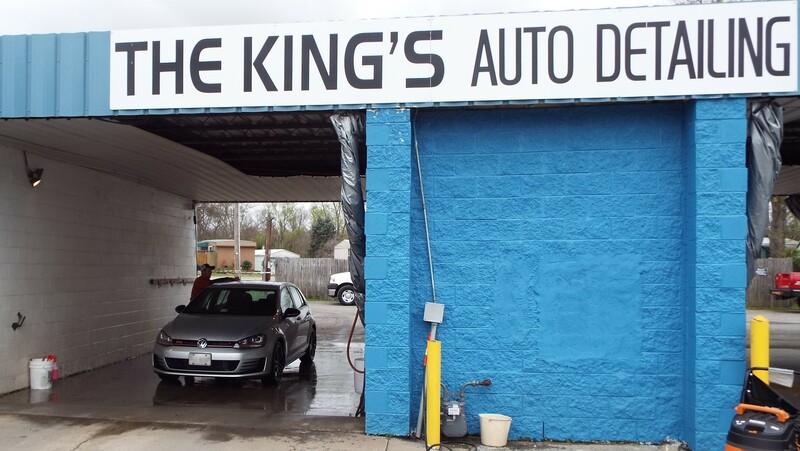 However, it turned out to have been converted into a hand-wash business called The King’s Auto Detailing. I was in no mood to search for another coin-op car wash (an automated drive-thru wash was out of the question), so I had them wash the car. Their $8 basic wash includes hand washing, cleaning the door jambs, blow-drying the crevices, and then finishing off with towel drying. I added glass cleaning for a whopping $5. Don’t let the rundown appearance of the old car wash fool you. It was money well spent and the trio of washers did the job faster than I could have. I was happy to be on my way in about 20 minutes. Saturday was pleasant, despite the presence of EIGHT LEO’s along the eight miles of road on the Tennessee side. The strict enforcement was good for not having to deal with too many people riding my bumper. Sure, I used the pull-offs to let faster drivers pass. But it’s a good run on the Dragon when I don’t have to. I almost felt like I had the road to myself since most of the traffic was either heading in the opposite direction or simply obeying the speed limit. There was at least one “special” motorcyclist who was passing cars in blind corners, all just minutes after having been pulled over. He was the exception, not the rule. I was monitoring the FRS band and some motorcyclists reported that the Dragon was practically shut down by heavy enforcement that afternoon. I was in Tellico Plains by then, having just finished driving the Cherohala Skyway. I continued my driving day by heading to Chattanooga. 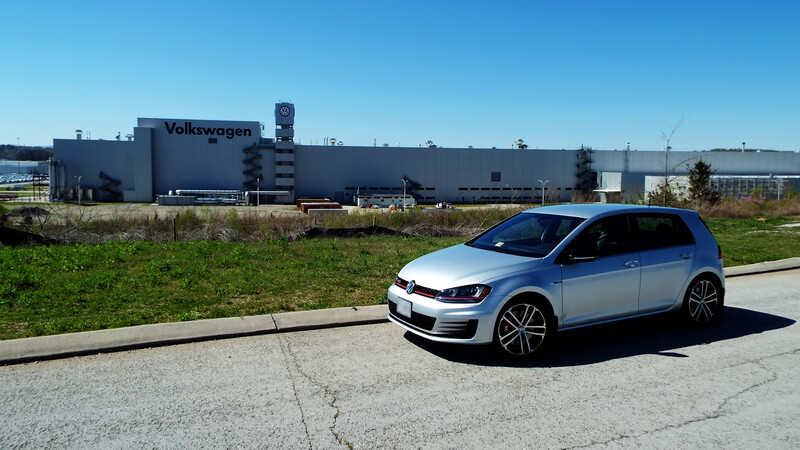 My primary goal while visiting Chattanooga was to take a few photos in front of Volkswagen’s assembly plant. My car wasn’t built there, but I still wanted what is probably the largest Volkswagen structure in the country as a backdrop for my GTI. 🙂 I took several other photos, one shared below, but the sun was at too odd of an angle to make the best of the shots. I had a tentative plan to stay in Chattanooga overnight. But there were no affordable rooms to be had; everything was booked. Later, I learned that there was a large motorcycle rally that weekend, which explains the extra northbound traffic and LEO presence on the Dragon. There were also classic cars everywhere, evidence of another show or gathering. As a result, we made new plans to just stay another night in our room in Maryville. The Dragon was excellent on Sunday, without a single LEO on the entire stretch, and hardly any traffic, either. I guess all the Chattanooga motorcyclists were at church or still on their way to US129. I drove the Dragon three times (2x south and 1x north), with my last southbound run being a faster run. We stopped at the store for a few items and then drove to “The Road to Nowhere” via part of Moonshiner 28 before heading back toward Virginia. We stopped for a night in Bristol, TN, then had an easy drive home Monday. I couldn’t have asked for a better weekend! Coming from a TDI, you know I have to report my fuel economy. 😛 For the record, my numbers are all hand-calculated; none of that MFA display nonsense! 😉 During my first tank toward Tennessee, I drove around 70-75 mph and returned a rather unsurprising 33 mpg, which included rain most of the way. The remaining 200 miles to Maryville was almost all at 75 mph. Fuel economy still improved to 35 mpg, most likely because my tires weren’t pushing through water. The next tank saw runs on the Tail of the Dragon, a portion of the Moonshiner 28, the Cherohala Skyway, on to Chattanooga, and then back to Maryville. I still managed to net 33.5 mpg. The next tank saw three more runs on the Dragon, some of the Moonshiner 28, The Road to Nowhere, and then to Bristol, resulting in 35 mpg. I decided I wanted to maximize fuel economy for the last tank of the trip. That meant NO SPEEDING or wide-open passing (I did not “hypermile”). I was really surprised to get 262 miles out of the first half. I think I could have made it to 500 miles on that tank if I could keep the ideal driving conditions. I knew they were coming to an end, so I refueled when I got home at 311 miles. 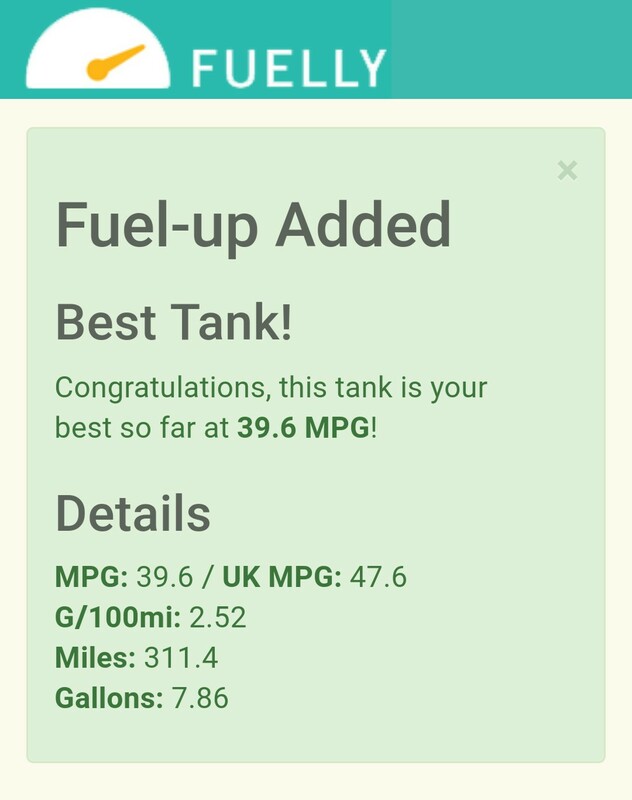 I filled with 7.86 gallons for an end result of 39.6 mpg. That’s really good for a car that’ll do the 1/4-mile in 14.2 seconds! That’s a wrap! We didn’t do a lot of extra sightseeing or visit any fancy restaurants. I allowed only four days for our trip, including two 530-mile travel days. 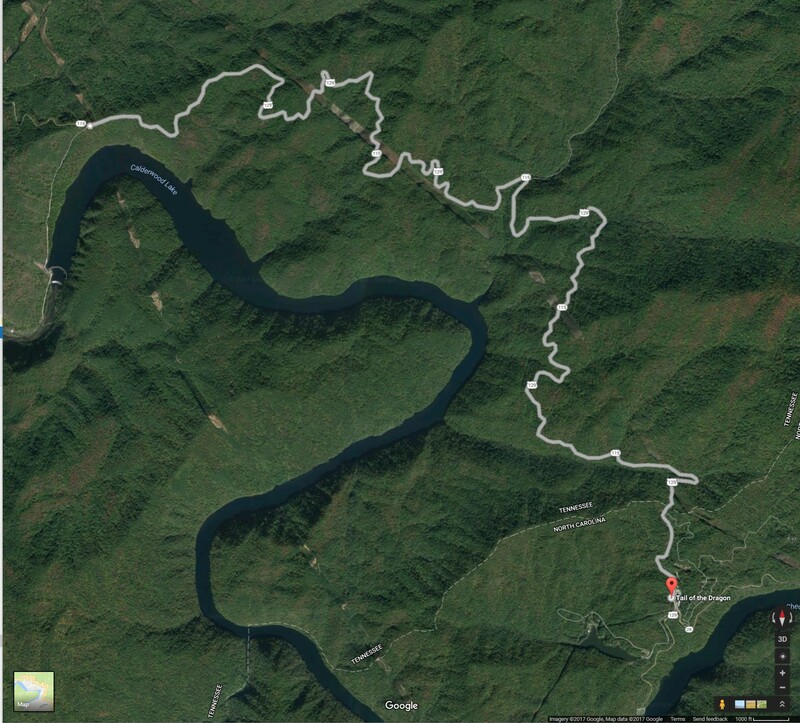 In short, it was a mad dash to the mountains with a very narrow focus on driving certain scenic roads. I have no idea when I’ll see another road trip with such ideal fuel economy conditions (I could come close on the Eastern Shore since it’s flat). So this personal record of nearly 40 mpg will stand for a long time. Until then, I’ll be happy with my current lifetime average of 32.5 mpg. See more photos from the weekend below. Killboy.com photo on the Dragon. 129Photos.com photo on the Skyway. 129Photos.com photo on the Dragon. 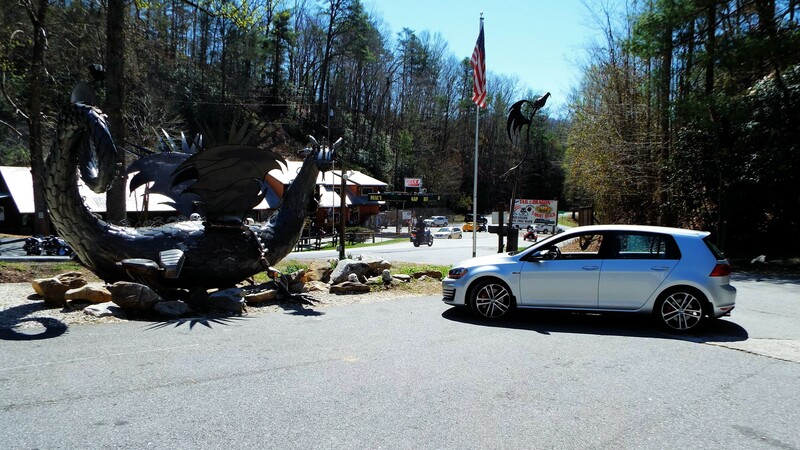 Tail of the Dragon store. This Dragon is made from parts lost along the route. At the top of the Cherohala Skyway. 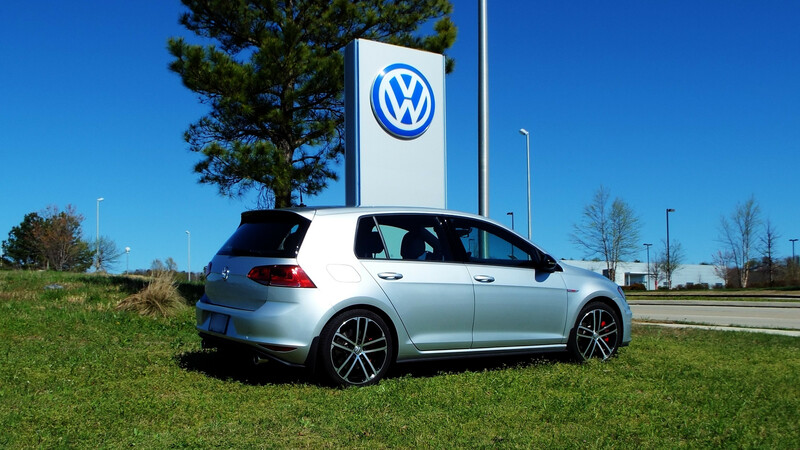 Volkswagen Assembly Plant in Chattanooga. I’m an Amazon Prime member and felt compelled to take advantage of seeing this building. Daughter and I with the Dragon.